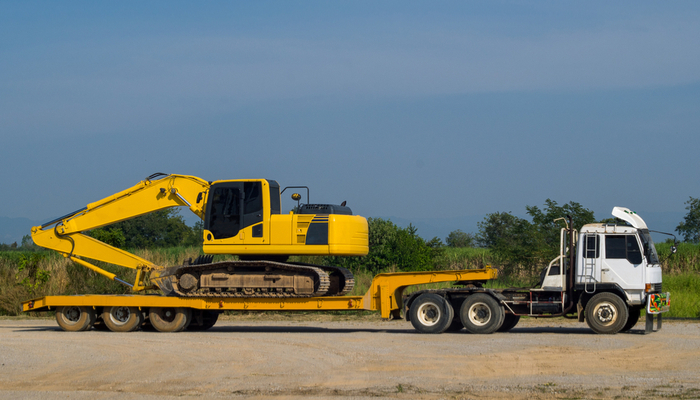 In this post, we dive deep into the use of automatic lubrication systems in truck-related operations, particularly for trailers, and the benefits that can be gained from installing ALS. A good trailer is built solid, large truck trailers are made to pull loads up to 1.5 million km before needing to be replaced. But that doesn’t mean they don’t need maintenance and regular checks. There are many different accessories that can help to prolong the life of trailers, and a great example is an automatic lubrication system. An automatic lubrication system (or ALS for short) is a device that can automatically deliver the right amount of lubricant to certain parts of a vehicle while in motion. By keeping it properly lubricated during use, the ALS effectively boosts the vehicle’s performance and durability. Read on to learn more about automatic lubrication systems and how effective these are in making trailers even better. The basic parts that make up an ALS is: the metering device, the pump, the controller and the tubing. The metering device makes sure the right amount of lubricant is pumped through both of the system’s points. By doing so, the lubricant will reach all the vehicle’s parts that need to stay lubricated to work properly. The pump makes the lubricant flow. There are many different pumps that offer various flow rates and pressure ranges. Pick the ALS with a pump that not only satisfies the needs of the system but is also compatible with the available power source so the system runs as it should. If it has injectors, it should also have a vent to let the injectors reset. Pumps can also be meters, like box lubricators’ piston pumps, but they are usually made as a separate unit. The controller runs the program that delivers the lubricant according to the programmable schedule. While some are built right into the pumps, most are built as a separate unit. To avoid any problems, the controller of the ALS needs to run on the same voltage as the system, and also have the right inputs for the sensors that will be connected to it. The tubing is where the lubricant will be pumped through. To keep it from getting clogged or flowing out, your chosen ALS’ tubing needs to be strong enough to handle the pressure generated by the system and wide enough to let the lubricant flow through without generating excess pressure. Your ALS will be activated according to its programmed schedule, so there is no need for manual lubrication. You can use the time you save on more important things on your long haul drive. Automatic lubrication allows you and your trailer to run more efficiently, as you know the right amount of lubricant is being sent to the right parts. More uptime with your trailer not only saves you time on the road, but also time and money spent on maintenance. The less time you spend on maintenance, the more time you have for inspections and repairs. The more regularly you can do these, the better you can meet maintenance requirements, even when there’s an increase. The better maintained your trailer is, the better you can deliver on your customers’ needs. Even if it’s a first-class Trailer, thanks to ALS, it will be kept in much better condition. There is less worry about rapid wear and tear or component failures, as all parts are regularly receiving their optimum lubrication to function at their best. Whenever you’re on the road, you will be in much less danger of failure, greatly improving your chances of completing trips and returning home to your loved ones safe and sound.